Not long ago I signed up for something on Facebook. The reason – the name. Bourbon & Boots. Today I got an email – an ad no less for Raw Cotton. 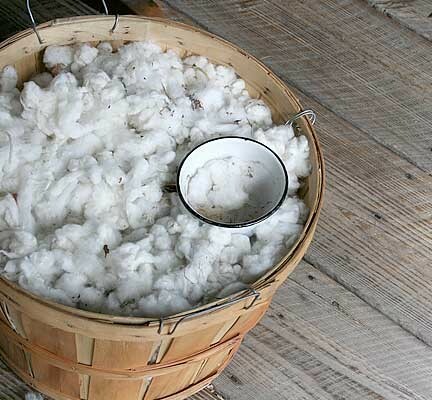 For $25 you can buy a pound of cotton from North Carolina – The Cottonman. I think that’s awesome and I’m thinking of buying some but not just because I like cotton. Rather, it is because the first time I saw cotton fields they captured my imagination and led to an experience that I’m not likely to forget. I was driving in rural Alabama. It was the time of the cotton harvest. It was a beautiful day – which is mostly the case in the Deep South (even when it is so hot it feels like someone wrapped you in a wool blanket and poured hot water over it). The sun was out – but there was something white blowing across the road. I had seen white stuff blowing across the road before – but that was when it was gray and cold and the sky full of clouds. This wasn’t snow. It was cotton. Some bits and pieces pulled free from huge cotton bundles on trailers as trucks took them down the road. Other bits and pieces blew from the once white fields made mostly brown/black stalks by enormous, green harvesters. The fields were a jumble of sticks and dirt and bits of left behind cotton. Cotton and cotton fields have long-held a place in my imagination. As a little boy I was drawn to Civil War history, to Mark Twain, and pretty much anything to do with the south, her history and culture. Cotton and plantations were always somewhere in the background of my imagination. The reason, I think, was quite simple. I could not make sense of it. What I mean is that I have always loved the south but as young boy I couldn’t make sense of the painful, sad parts of her history – which was most often represented in my minds eye by cotton fields. I can close my eyes and see them – the white fields – plucked clean now by machines – where once they were filled with men, women and children – stooping, pulling, and filling sacks. 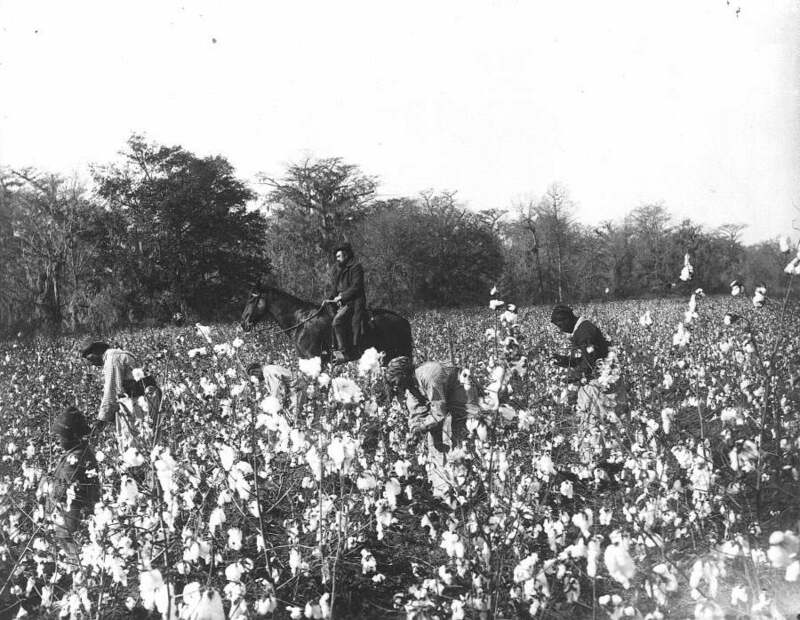 It is hard not to connect the full white fields to days when Americans “lawfully” enslaved people. In the land born of liberty and freedom there was slavery, injustice, and oppression; all for money. That painful, sad history extended beyond the fields, entering into city ordinances, state laws, churches, and schools and my imagination. It took the law of love to bring change. It was encouraged by pastors and extended by children, some as young as six. 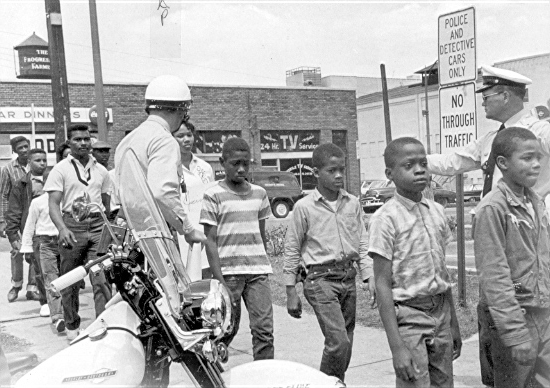 The children went from churches – marching to pray, singing hymns and spirituals as they went, all the while suffering abuse and jail from their fire-hose and dog wielding oppressors. This history is not lost on me as a Christian, a student of history, and a southerner who hates racism while loving the south (and one who for love of union and abolition is glad “we” lost the war). 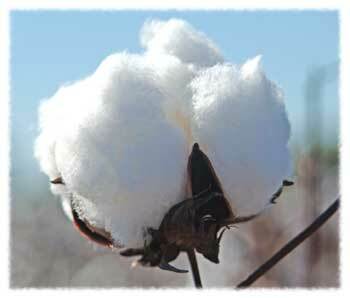 And yet – now the image of cotton fields reaches into my imagination and memory reminding me that even out of pain and sadness there is hope. God’s children are not without suffering. We are not without pain and sadness. And yet there is hope – God can bring good out of the worst possible places, out of slavery, out of racism, and out of the cotton fields of Alabama. My family and I were living in Alabama – a state filled with places that look like a scenes from To Kill a Mockingbird. A friend, Mark, invited me, to attend an unusual gathering of folks. Mark ran a farm of sorts near the campus of Alabama A & M. All the work Mark and others put into raising food was so that poor people could eat. Mark believed that God wanted him to farm (despite not knowing anything about farming) and give the food to the poor. Turns out the Bible supports that notion – and Christians are to care about folks flourishing – it has something to do with shalom. It also turns out that many folks really needed the help (that’s true everywhere but AL is the third poorest state in the US – “23.4 percent of households said they were unable to afford enough food, which is the second highest rate in the country“). It also turns out that folks wanted to help. That included Alabama A&M – which provided the land as well as a canning facility. It also included local farmers who brought crates of fruits and veggies to give. Whether they knew it or not they were living out of an Old Testament practice of leaving enough food in the field for the poor to glean. When it came time to harvest, men, women, children stooped, pulled, and filled sacks stooped, buckets and crates; poor people, white, black – just people. When all the work was done folks didn’t leave. Instead they started to gather in a large, hanger like building that had once been A&M’s cannery. This was what Mark had invited me to witness; it was an experience I will not easily forget. Folks began to gather at one end of the building, in a close semi-circle. They sat on buckets, chairs, and the concrete floor. An elderly, African-American gentlemen sat down and the shuffle of feet subsided. Mark looked at me with a big smile as the gentlemen began to sing. I did not know the song. I had never heard it before and at first I thought he was making it up – beautiful, soulful as it was. Then, just as he finished the first chorus – folks around me joined him. They filled the room with their voices, with their songs, and they were tied to the fields painful, sad history. There was no way for me to know the words to the songs. These were not my songs because these were songs born out of the pain and sadness of slavery, of injustice, of oppression. They were songs born in the fields and tied to the cotton field’s history of pain and sorrow songs BUT not left there. These slave songs were born out of pain but written and sung and passed down with hope that God by His Son and through His Spirit would redeem his people. What I saw that day was truly one of the most amazing worship services I’ve ever seen. I didn’t know the first song. I could only stand back and listen. Mark couldn’t help smiling at me. “It’s like this every week,” he said. That worship experience was more than fourteen years ago. I’m not even sure if Mark is still farming – we moved away from AL six years ago. Yet I can close my eyes and just about hear them sing. They sang songs that had been passed down to them by their parents and grandparents, slave songs – which, though born out of something terrible, connected them to the same hope and joy which has lifted God’s people up since Adam. They knew the same God who sets the captives free in the Bible is the same God who set their great grandparents free, set them and their children free from injustice and sets them free in Jesus. So they sang the same songs their ancestors sang. They sang as the Psalms teach God’s people to sing and to pray; fully, holding nothing back. The Spirit filled their songs, reminding them (and teaching me) that God does bring good from the painful, broken, sad, places of our lives. In the Old Testament book of Psalms – David (the Psalmist) wrote, “For the LORD loves justice; he will not forsake his saints. They are preserved forever, but the children of the wicked shall be cut off. (Psalm 37:28 ESV). It is an extraordinary claim – isn’t it? It is if you believe it (which I do). When we are in the midst of painful, sad places we often have trouble believing this about God – especially when it seems like nothing will change or God is taking a very long time. Kilian McDonnell, OSB, has a book of poetry the title of which captures this feeling: Swift, Lord, You Are Not. If you haven’t spent much time in the Bible you might be surprised to find that it isn’t all “puppy dogs and rainbows.” In fact, it is true to life – telling humanities story and God’s intervention in sometimes graphic terms. Some folks struggle with that aspect but I think it is quite helpful because most folks I know struggle with one thing or another. I don’t have much capacity for the pushers of Pollyanna theology, the “God just wants you to be happy and healthy and rich” – you know the big ego, big stadium, big hair kind of folks. I’m not sure what version of the Bible they are reading – if they are at all. The Old Testament doesn’t skip over the bad parts. 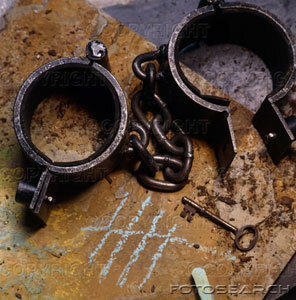 Those slaves songs, like the Scriptures, were passed down from parents to children (Deut 6). They were meant to prepare people for life in a fallen world and point them in a Godward direction. Sometimes I think we do kids a bad turn when, in an effort to protect them, we insulate them from reality. They are bound to have troubles because, until Jesus comes, that’s the way of the world. There are things beyond our control and we’d do better by our kids to prepare them – shape their character and their moral imagination. These were God’s people – they had been carried away in exile. They knew pain and sadness well. Their lives were ripped open. They were mocked, abused, forced to leave their home. They knew hardship and pain in ways that I don’t even want to imagine. But they wrote about it – as prayer to God. What stands out to me is the fact that this text still remains. It is a painful Psalm to read because of the anguish, the anger, the pain. It was a dark time in the lives of God’s people, a terrible time. And yet, this Psalm, marked this time and it was passed on from one generation to another – down to this very day. I think I know why – at least I can speculate. The Babylonian Empire hasn’t existed for – well a very long time but God’s people still do. Apparently, God really does love justice and he does keep His saints. I also think what is expressed in this Psalm gives shape to the way God’s people pray and sing. Because sometimes we feel the way they did and because God delivered His people – and still does. That’s not to say that the bad times we go through aren’t bad. Sometimes all we have to hold onto is a stubborn resolve that God will do as He has said. That’s when Psalms like “Weeping may tarry for the night, but joy comes with the morning.” (Psalm 30:5 ESV) and “You have turned for me my mourning into dancing; you have loosed my sackcloth and clothed me with gladness, that my glory may sing your praise and not be silent. O LORD my God, I will give thanks to you forever!” (Psalm 30:11-12 ESV) give shape to the way we think and pray. I think Psalms like these are most beneficial when things stink – really stink. They may help us to rejoice when the time is right but they also form our lips to sing, to pray, to hope for the day when we will be dancing, clothed with gladness and singing forever. They point to the fact that one day this will be true of God’s people. The New Testament shapes our hearts for the tough parts as well – and it gives shape to hope. In the New Testament book of Romans – chapter 8 – Paul wrote, “For you did not receive the spirit of slavery to fall back into fear, but you have received the Spirit of adoption as sons, by whom we cry, Abba! Father!” A bit later in the same chapter it says “And we know that for those who love God all things work together for good.” (Romans 8:15, 28). Verses like these giving shape to our hopes by telling us that we are God’s children. We have been adopted by God (and I love adoption); we are His sons and daughters. Of course, our adoption is made possible through Christ – that’s what Paul is trying to tell us – our place is sure in Christ. But something else gives shape to our hope – its phrase cry Abba or Father. When does a child “cry out” for their dad? In times of pain and trouble, of course. And – since we know we are his sons and daughters we know that we can do that – approach God as Father in the midst of troubles. But how does we hope a father will respond? Well, in all honesty I don’t alway respond with the sort of kindness and compassion that I should. Sometimes when my sons cry out I’m busy and I don’t want to be bothered. Well – that’s my way but not God’s way. Children also cry out in moments of joy and surprise. That’s always a good sound – when your kids are glad to see you – when they say, “I love you.” When they thank you for the good things you’ve done for them. But this “crying out” in times of pain and joy both have an element, an expectation of hope linked to them. Hope that the one who hears the cry will care respond and step toward us – make things good and right. That’s where Romans 8:28 fits into this: “And we know that for those who love God all things work together for good.” (Romans 8:28). Isn’t this a nagging verse? Is the Bible giving an assurance that things will turn out for good for God’s people? It sure seems so…But isn’t this the hope we long for? I think it is. Even though we may not understand why it is that we go through things and they may be terrible – in the midst of them we want and need hope that things will work for good. God gives this hope to His children which is part of the way we can persevere. In fact, I believe the story of the Bible is wrapped up in this hope – that Christ by His life, death and resurrection makes new lives out of broken ones (something I can personally attest), sets captives free (and we are captive to something), restores human beings to God, brings peace (shalom) to fractured relationships, and brings light into dark places. The essence of the Biblical story is that God, through Christ, redeems the painful, sad parts of life and makes them good as only God can. I think this hope has carried God’s people from the time of Adam until now – ultimately God will restore all things and make things right and good. I think it was this hope that shaped the slave songs. Their assurance was bound up in Jesus in ways I could only image. Jesus turned their mourning into gladness – even as they worked those fields. The foundation of their songs wasn’t sorrow, nor self-pity – it was hope, a hope in Christ, a hope that all their suffering and hardship was going to turn out for good. It is a hope that all God’s children can sing about. Check out the ad for Raw Cotton here: Raw Cotton | Cotton Man | Bourbon & Boots. Want to learn more about the South and the Civil War – Professor David Blight’s course from Yale on The Civil War and Reconstruction – Lecture 2 is all about King Cotton. They are free and worth the listen.